Regatta course: according to category 500 – 2 000 m, type Albano, 6 lanes. Total length of lake: 3 000 m for rowing. Please send your request for accommodation to email address : info@vktrebon.cz, up to May 31st, 2019. 1. Withdrawals and crew changes meeting: Friday August 23th, 2019 - 17:00 - 18:30 in Jiskra Trebon meeting room or by email: vktrebon@seznam.cz. 2. Entry fees: For foreign participants of the regatta: free of charge. 3. For boats in categories JMA1x, JMA 2x, JWA 1x, JWA 2x, JMB1x, JMB 2x, JWB 1x, JWB 2x, M1x, M2x, W1x and W2x are scheduled heats on Saturday. These heats are qualifications for Sunday´s final races FA, FB, FC, FD, FE or FF. Other races are separated. 6. Category MIX starts on the 500 m track. 7. 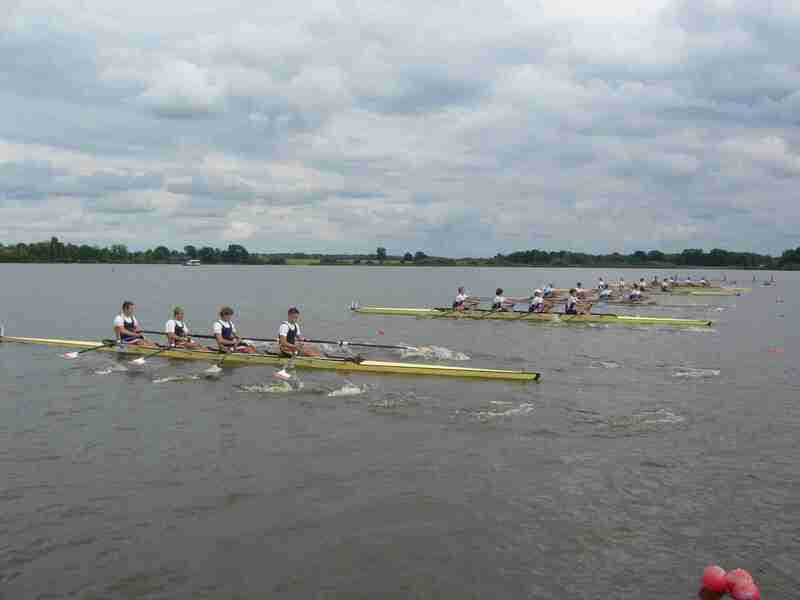 If it is in the category – JMA1x, JMA 2x, JWA 1x, JWA 2x, JMB1x, JMB 2x, JWB 1x, JWB 2x, M1x, M2x, W1x and W2x – entered less than 6 boats – the race on Saturday will be on 500 m track, the Sunday's track will be of standard length ( depending on category 1 500 or 2 000 m). 8. Race No. 16 is for children younger than 11 y.o. and for beginners on the 200 m track. The race takes place in good weather conditions only. The race is not judged by times, but evaluates the beauty of rowing technique. 9. Race No. 15 is 2x for boys/girls 11-14 (first crew member) and category Masters (second crew member). Both crew members have to start with oars of Macon blade type. 10. Final races JMA1x, JMA 2x, JWA 1x, JWA 2x, JMB1x, JMB 2x, JWB 1x, JWB 2x, M1x, M2x, W1x and W2x will be added to Sunday´s schedule so crews and boats would be able to change in races No. 42 -61. 11. Race No. 38 is for PARA-rowing athletes. Please send your request for the start your PARA-rowing crews and athletes into this race according to FISA standard category. Track for PARA-rowing crews is 1 000 metres long. 16. 1 x Begginers and younger than 11 y.o.